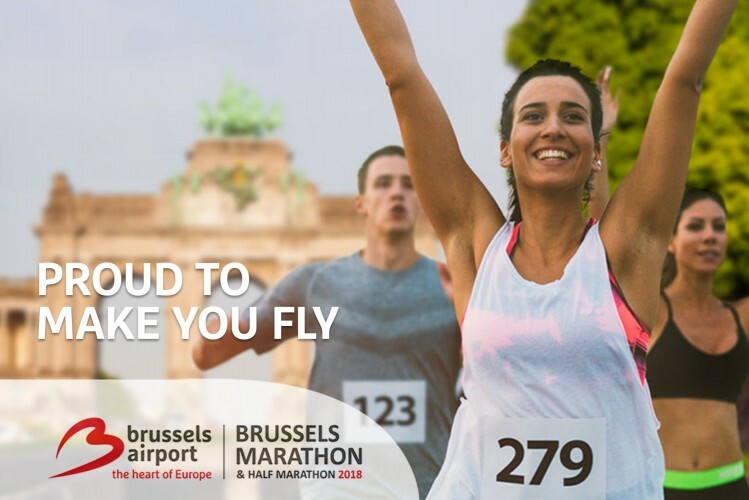 BRUSSELS, Belgium, 2018-Aug-08 — /Travel PR News/ — The 15th Brussels Airport Marathon & Half Marathon will take place on 28th October 2018. Together with title partner, Brussels Airport, the organisation has made a conscious choice for change. The finish line shall therefore relocate to the Parc du Cinquantenaire, the expo will move to the spectacular Autoworld, and participants will be able to discover all of the delicious delicacies that our country has to offer during ‘La Grande Fête Belge’. “By opting to relocate the finish line to the Parc du Cinquantenaire, we aim to optimise the comfort and enjoyment of our participants and supporters. Indeed, the start and finish are now only 200 metres apart, which is far more practical for both runners and their supporters alike. The start line will remain in its usual location, immediately below the Parc du Cinquantenaire (towards Schuman). The finish line will, for the first time, be situated under the imposing triumphal arch,” says Greg Broekmans from organiser, Golazo sports. Relocating the finish line is also great news for the numerous participating non-profit organisations, NGOs and businesses. It will enable them to reward their runners for their efforts after the finish in a fittingly stylish and celebratory fashion. The move will also provide more space in the vicinity of the finish line. Amongst other things, we intend using this space to highlight our many Belgian attractions. The new pop-up Belgian Beer House will serve as the Parc du Cinquantenaire’s epicentre, where participants and supporters can enjoy a pre and post race chat accompanied by a Belgian beer. And traditional Belgian treats, such as frites, waffles and chocolate will also be on the menu! “More than 30% of participants are coming from abroad and plan to combine the marathon with a city break in Brussels. Just like passengers at Brussels Airport, we intend acquainting Marathon & Half Marathon participants and supporters with some of our greatest attractions: our warm Belgian hospitality, a unique sporting experience on a stunning race course in the heart of Europe, and all of the delicious delicacies that Belgium has to offer”, Says Arnaud Feist, CEO of Brussels Airport Company. A new finish line naturally implies a new course. This will be announced on 31st August. This entry was posted in Airports, Festivals and Events, Sports, Travel, Travelers and tagged Arnaud Feist, Brussels Airport, Greg Broekmans, Half Marathon, Marathon, Parc du Cinquantenaire. Bookmark the permalink.